This evening I was prepping the foyer for painting, you know washing walls and taping off all the woodwork (which we have a lot of), when I heard the reds talking about kings and queens. 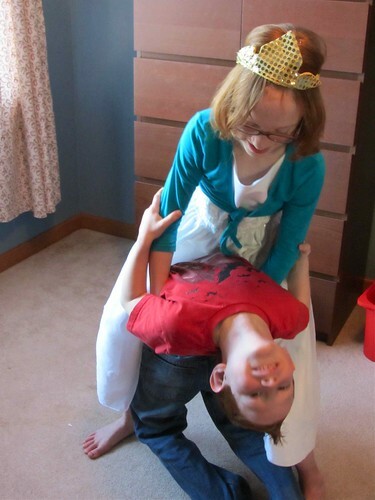 I snuck upstairs with the camera and found them dancing with each other and both were wearing crowns. Those two can play so well with each other. And they both have good imaginations.